Size: approx. 12 mm. Photo: 08/16/15, 9 pm. 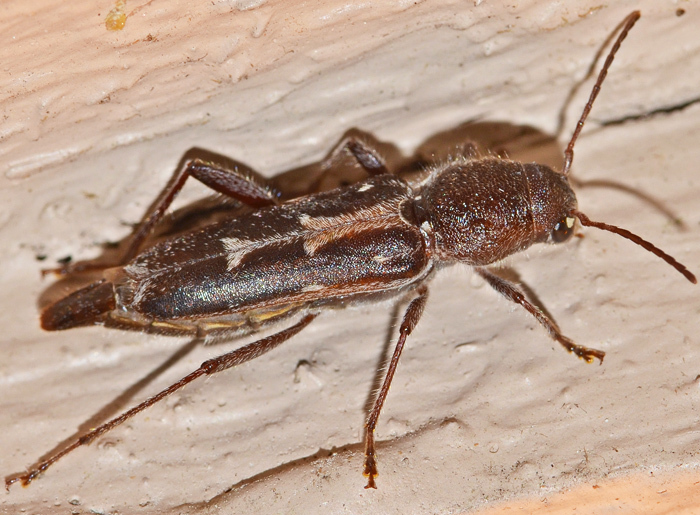 This very common member of Cerambycidae is the Rustic Borer. Notice the sinuate yellowish, transverse band which is distinctive. Its larvae develop in virtually all eastern hardwoods including pine. It is one of 27 Xylotrechus species in North America. Adult Rustic Borers aggregate on cut logs and fallen trees. Males actively search for females, and only respond to them after contacting them with their antennae. The contact pheromone is a blend of three hydrocarbons (n-pentacosane, 9-methylpentacosane, and 3-methylpentacosane). Size: approx. 15-20 mm. Photo: 07/02/16, 10 pm. 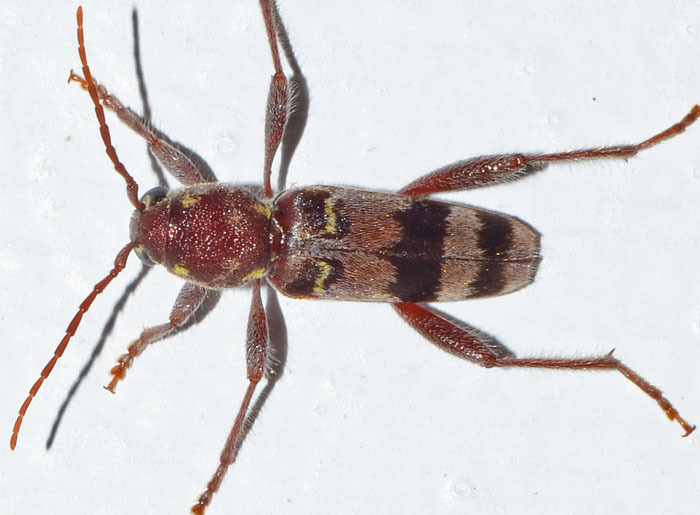 ... and the sister species Xylotrechus sagittatus. The pale markings down the midline of elytra can form a line of arrowheads pointing towards head like in this specimen. The larvae feed on conifers, especially pines.